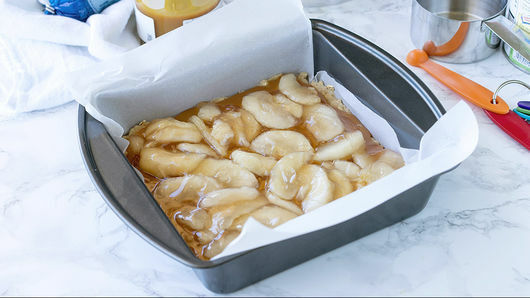 Heat oven to 350° F. Line 8-inch square pan with cooking parchment paper; set aside. In medium bowl, mix 1 roll (16.5 oz) Pillsbury™ sugar cookies and 1 cup quick-cooking oats. Press half of the mixture in bottom of pan. Spread 4 tablespoons caramel topping on top, followed by 1 cup canned apple pie filling. Carefully spread remaining dough mixture over top of apple pie filling, so it covers filling. It’s ok if a few spots are open. 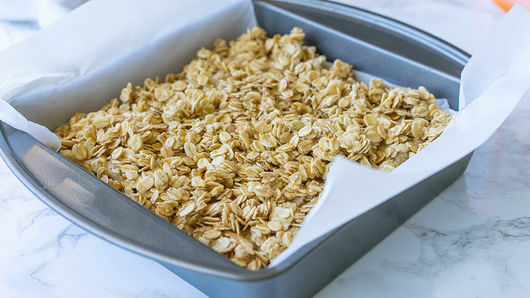 In same bowl, mix 1 cup quick-cooking oats, 3 tablespoons butter, softened, 2 tablespoons packed brown sugar and 2 tablespoons all-purpose flour until combined. Sprinkle mixture evenly over top of cookie dough. Bake about 35 minutes or until center is cooked through. Cool on cooling rack 30 minutes. Carefully lift by parchment paper from pan; cut into bars. 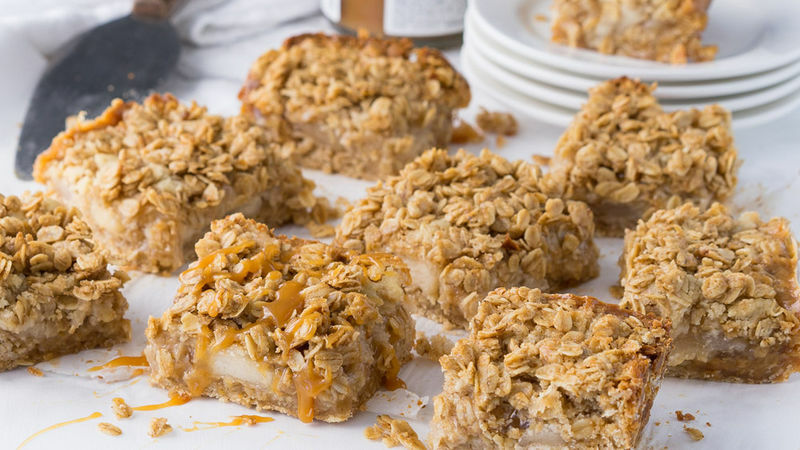 Serve with extra caramel topping drizzled on top, if desired. Give these cookie bars a little boost of flavor with the addition of 1/4 teaspoon ground cinnamon to the cookie dough.